October 11, 2013 - A result of Nassau County Executive Edward P. Mangano's policy of freezing property taxes for four straight years, budget officials today received Nassau's quarterly sales tax returnwhich grew by 17%, bringing the year-to-date growth in sales tax receipts to over 9% or $68 million above that of 2012. This significant increase in sales tax receipts, along with Nassau County for the first time in five years having an unemployment rate under 6% (Nassau’s unemployment rate is 5.9%),is the result of County Executive Mangano's policy of freezing property taxes for four straight years. County Executive Mangano stated, “My administration knows that high taxes kill jobs and hurt the local economy. That is why I repealed the Home Energy Tax and froze property taxes for the past four years. My policies of freezing taxes have sent a clear and loud message to employers thatNassau is open for business. These strong sales tax returns, along withthereturn of thousands of jobs to Nassau County, isfurther evidence that our economic policies are benefitingall residents." County Executive Mangano and his economic development team have helped create and retain more than 19,000 private sector jobs in Nassau County. Just recently, Camoin Associates issued an independent report that was commissioned by the Nassau County Industrial Development Agency demonstrating how the film industry generated over $140 million in economic benefit for Nassau County and more than $800,000 in sales and hotel taxes. 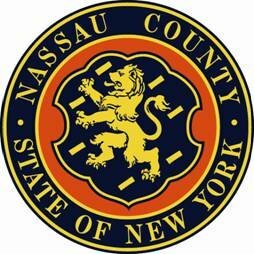 The industry employed 1,945 people — including 890 annual jobs, and spent 393 days shooting movies and television shows in Nassau County. County Executive Mangano has worked tirelessly to grow the film industry as well as many other industries here in Nassau County and is achieving great success for the people of Nassau County as reflective in the recent sales tax figures and low unemployment rate. Subject: LongIsland.com - Your Name sent you Article details of "Mangano: Policy Of Freezing Property Taxes Results In Continued Strong Sales Tax Growth And Job Creation"